Depending on your addiction, urges will be strong and inevitable. When those urges hit, it is crucial to have a plan in place so that relapse does not occur. Stimulants can make you feel on top of the world, and may even seem intellectually stimulating. But when it comes time to stop using, the cravings can be difficult to handle. Stimulant addiction treatment can help with cravings, but there are still specific modes of therapy and techniques that can be used. It takes a good deal of hard work to form new habits, and having a series of plans in place will help you to act upon those plans. Being sober when urges and cravings hit can also help to uncover the emotional baggage that might be contributing to your addictive behaviors. Meditation is an often-practiced technique in recovery, as it requires the ability to simply exist in the present. Compared to the often-used recovery techniques of “taking it one day at a time,” meditation is the embodiment of the present. When an urge or craving hits, meditation helps to work through the moment by simply observing the feelings that take place. Over time, practicing meditation will help contribute to continuous recovery. Exercise provides a rush of dopamine—just like most drugs do—which is why we call it a “runner's high.” Furthermore, exercise helps to regulate mood swings, boost relaxation, and improve physical fitness—all benefits that contribute to successful recovery and prevent relapse. Dual diagnosis, a recently popularized tool of rehabilitation, is an important element of recovery. For those struggling with a concurrent disorder, such as depression or bipolar disorder, it is incredibly important to exercise, as it can help to smooth out erratic moods and irritability, and calm anxiety. Group therapy and sponsorship is a crucial element of recovery for a reason. The support of other recovering addicts provides an invaluable resource since they have also undergone the same elements of recovery. For many in recovery, discovering a new craft or hobby is critical for maintaining sobriety. This is because addiction was the previous full-time hobby—now, a substitute is necessary. Crafts also promote a “brain flow,” or a state of therapeutic productivity that is excellent for boosting mental health and general well-being. For some, physical dependency is so strong that medication is the first step toward recovery. Methadone and suboxone are several examples, but are not always necessary. In stimulant addiction treatment, it is more likely that you will go cold turkey. Depending on your recovery plan, a doctor may recommend different prescriptions, such as antidepressants, to help deal with the transitional process. 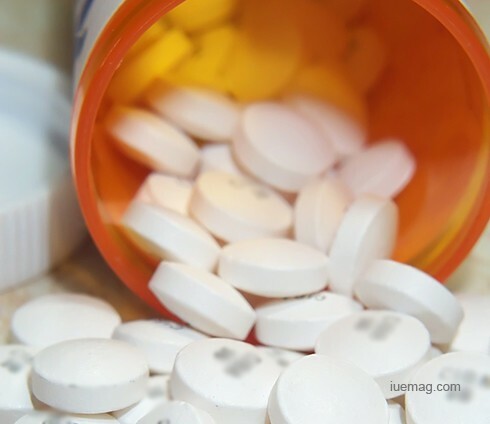 Anti-anxiety medication is a common new prescription in recovery. Depending on how the addict chose to self-medicate, underlying mental illnesses are often exposed in recovery. There are many personal techniques that can be used to move along the recovery process. What works for one person, may not have an effect on another. However, learning to implement these techniques will help you to discover what works best for you, and help you get started on the road to continuous recovery. Any facts, figures or references stated here are made by the author & don't reflect the endorsement of iU at all times unless otherwise drafted by official staff at iU. This article was first published here on 16th September 2016. Simone Flynn is a contributing writer at Inspiration Unlimited eMagazine.